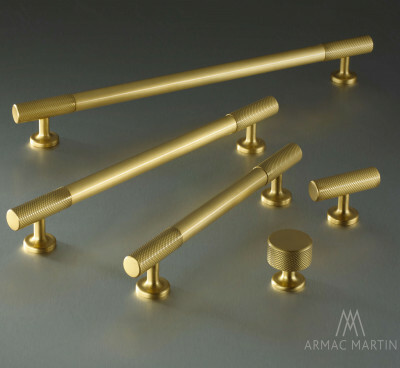 Armac Martin's luxury cabinet hardware collections are found in some of the world's finest kitchens and interiors. Designed, manufactured and hand finished in Birmingham, England. Their extensive range of traditional and contemporary styles will ensure you find the perfect choice for you. 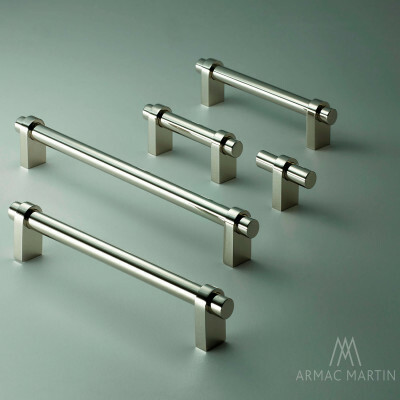 Choose from a range of cabinet knobs, t-bar pulls, drawer pulls, pull handles and appliance pulls. 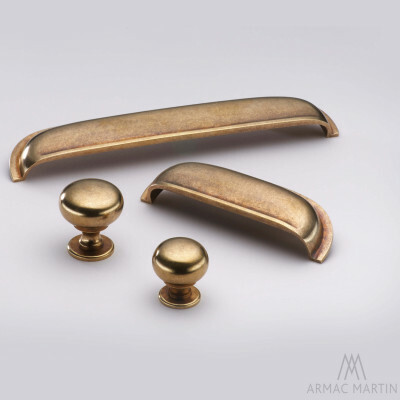 We offer their unlacquered brass, living finishes and unlacquered plated finishes on our site. 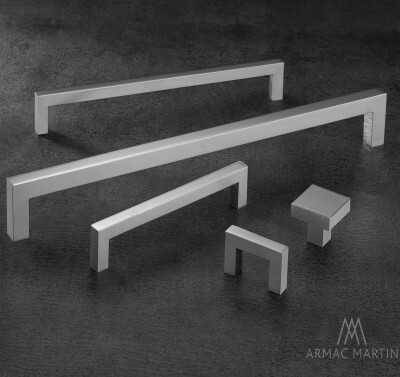 If you would like to know more about the other finishes Armac Martin offer please give us a call. The vast majority of the products are made to order for you, so please allow a lead time of around 3 - 4 weeks. Accessories including drop handles, cupboard catches, cupboard turns, flush handles and card frames are also available.